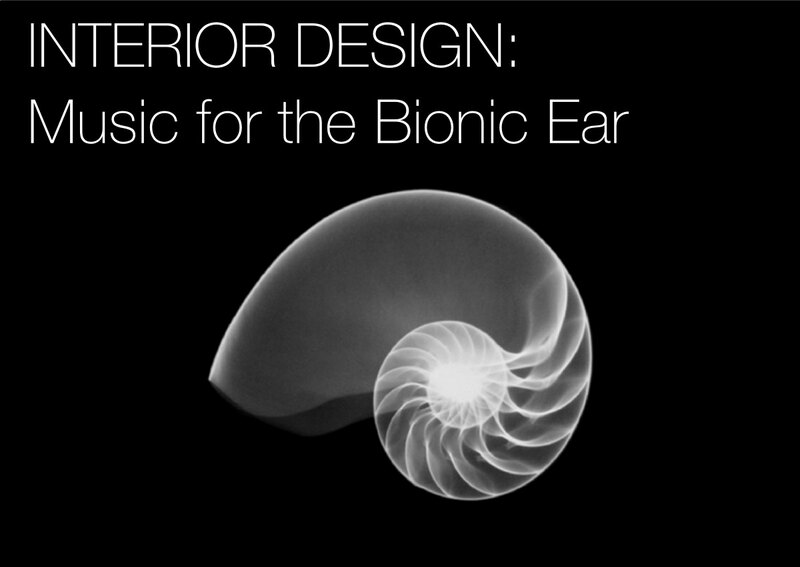 INTERIOR DESIGN: Music for the Bionic Ear is all about making new music, specifically designed for cochlear implant recipients. Although cochlear implants restore the ability to understand speech amazingly well, some CI users often complain that music sounds muddled or confused, and many often switch off their implants, or else try to avoid social situations where music will be present. In today’s society, where music is everywhere, this can lead to people feeling isolated or rejected. The aim of this project is to come up with a series of specifically made, new musical works, that will be able to be enjoyed by CI users, as well as their friends and families. If hearing-impaired and normal-hearing listeners can discuss the gig together afterwards, without the CI users feeling like they’ve missed out, or heard things “wrong” – it will be a success! 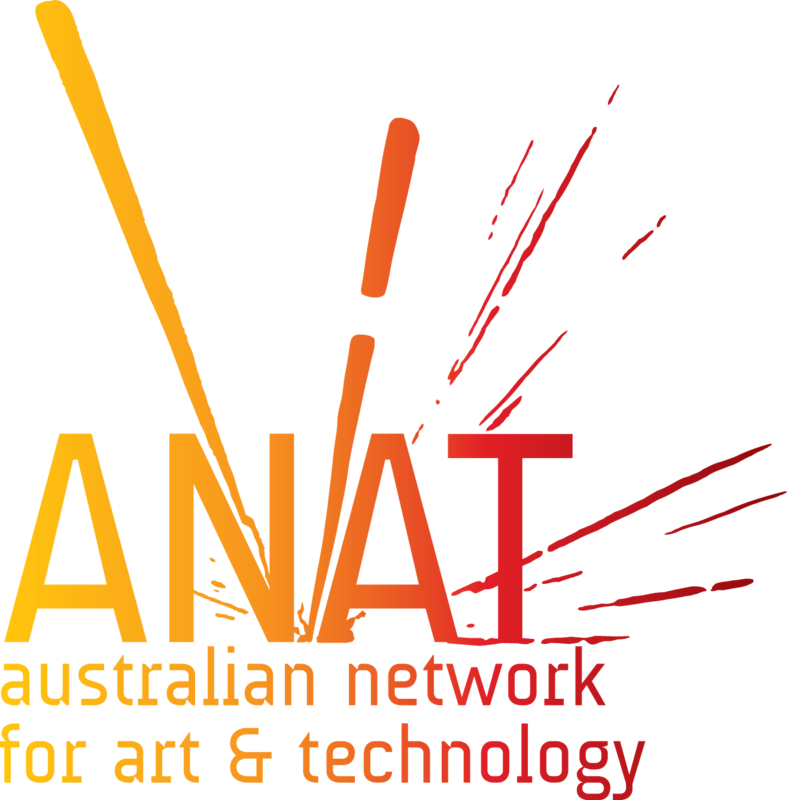 Robin Fox has recently been awarded funding through ANAT (the Australian Network for Art and Technology), to spend 3 months in a residency at the Bionic Ear Institute. During this residency he’ll learn in detail about how the normally-functioning auditory system works (all the way from the ear drum to the brain), and the causes and mechanisms of hearing loss. He’ll also learn how hearing loss affects the perception of music, and quite a lot of details about how cochlear implants work – exactly how the signal-processing parts of the sound-processor work, and how the electrodes help create auditory sensation. The composers will then use this knowledge as a kind of structure or scaffold to guide their compositions. One of the problems with CI users listening to existing music is that it’s often quite restrictive in terms of using the normal Western 12-note scale, and there are a lot of written and unwritten rules about all aspects of music – from rules of composition right through to accepted methods of playing instruments. The rules are actually based on various rules from physics and acoustics – for example, a consonant chord is a happy-sounding chord, and is produced by playing a series of notes whose harmonics (or overtones) all align and reinforce each other. A dissonant chord has at least one note with harmonics that don’t fit that pattern, and can sound grating or uncomfortable. All these perceptions of consonance and dissonance rely on the normal functioning of parts of the inner ear, and don’t necessarily work for someone using a CI. Many of the rules don’t really make sense, or aren’t useful for composing music for someone using a cochlear implant. 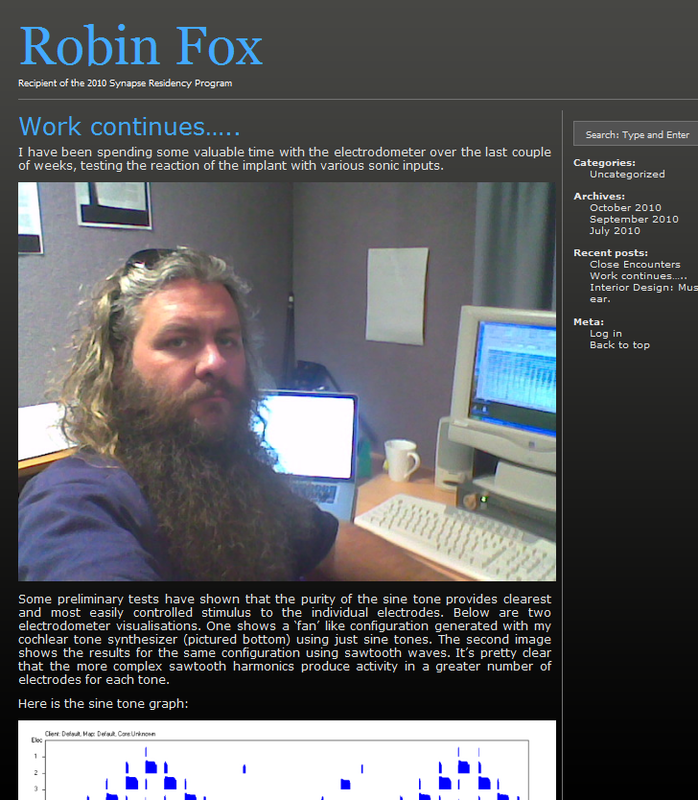 The NEW rules that we’ll develop as part of Robin’s residency will be based on how implants work, rather than solely on the normally-functioning auditory system. There are two shows, both on Sunday the 13th of Feb – at 5:30 and at 8:00 PM. There is also a lecture, free for ticket-holders of either event, to be held in-between the two concerts, at 7:00 PM in the same venue. If you are a cochlear implant user who’s interested in music, and you have some time to help us road-test some of this new musical material, we’d love to hear from you! email music@bionicear.org or fill out THIS FORM, and we’ll get back to soon. Updates about this project, along with all our other projects, will appear on the main blog page. Who funded all this amazing work? We’re really grateful to all the organisations that have funded this project. 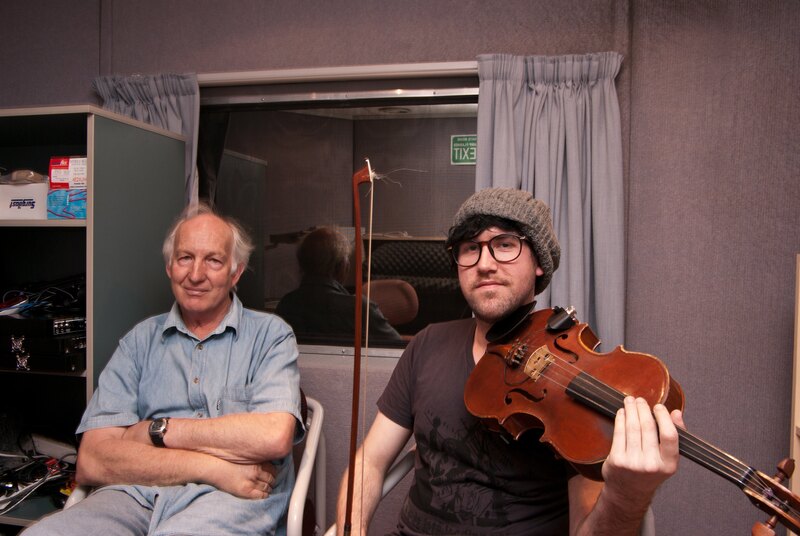 4) The Cochlear Foundation partly funded the commissioning of the works. 5) Arts Access, who helped us with securing the venue and promotion. 6) And last but definitely not least, the Bionic Ear Institute, where I work! This sounds very interesting Robin, and a wonderful idea for those CI people. 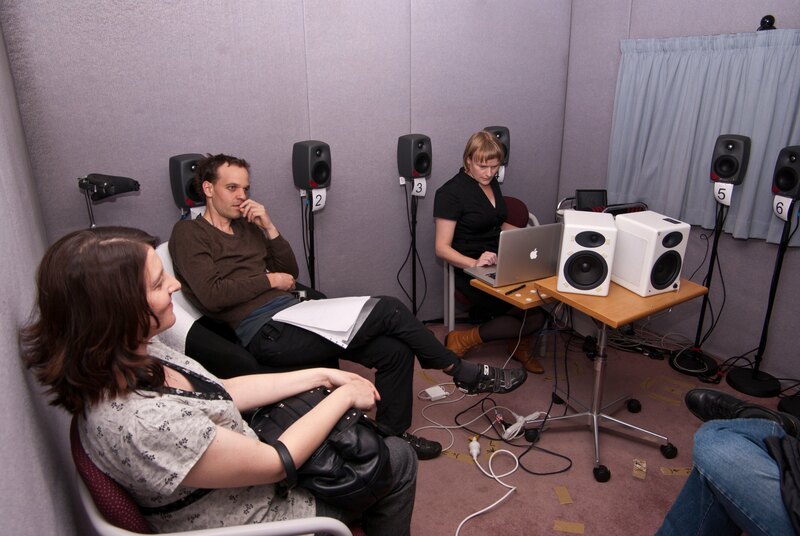 Hearing Organised Sound: A blog of recent events, interesting things, and updates from the Music & Pitch team at the Bionic Ear Institute in Melbourne Australia. Interior Design: Listen to the ABC podcasts of the concert.